I’m not original, #ReadySweatGo is a hashtag my gym has been using for their free personal trainer mini sessions. But like #NeverMissAMonday, it’s a good one. I was so looking forward to some cooler runs on vacation this week. 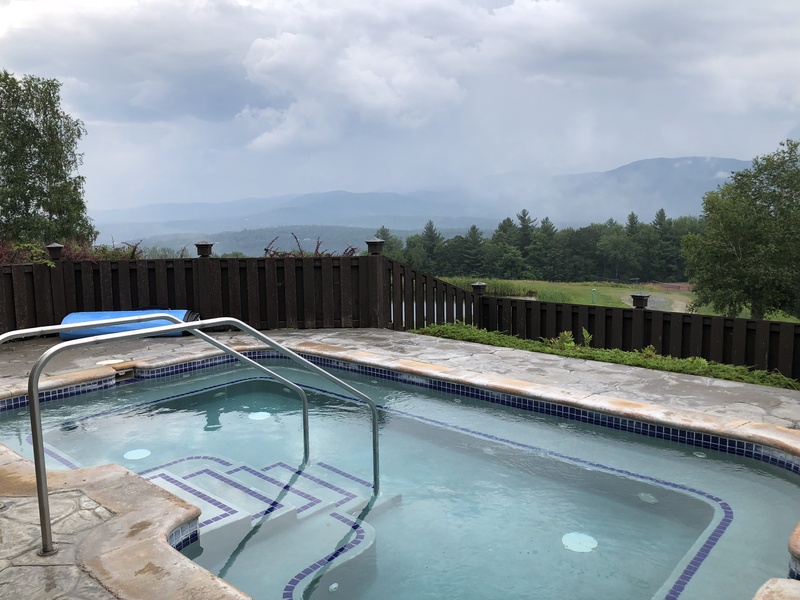 This is equal parts weekly wrap and vacation blog, since there’s zero chance of both getting written up this week so pardon the Vermont interruption. Also happy to hit 400 miles for Run the Year. Something nice about hitting it in an atypical run location. 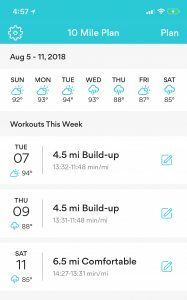 I’m ~17 miles off pace for the 700 mile goal, but I think it’s possible to pick that up as I ramp up my training for fall, so I’m not too concerned. Like everyone else, not looking forward to the weather. I think the various linkup hosts should issue us a challenge, blog without using the word humid. So how did I do? Monday: I was sore from Sunday’s hills. I didn’t take an Advil as I probably should have, and didn’t sleep well due to the heat. I felt better as the day went on and knew some activity would help. A 5K row followed by a long stretch and foam roll session hit the spot. Guess that hits Hal’s 35m cross train? As it’s August and all the reasons from last year still apply, the price of laziness came into play. Normally I’d grab the bus home from the gym, but it was “only” 86 degrees by 8:30 so I decided to walk. Nice 15K step day to start the week off. Tuesday: travel day. I flew into Burlington and after spending the late morning/early afternoon exploring Church Street and having lunch, we headed up to Stowe, our home away from home for the week. Family had driven up over the weekend and my nephew, 3, was happy to give me a tour. What a gorgeous area! I’d been to Vermont before, but only Middlebury and Burlington, never had chance to explore the mountains. While I had no intention of running indoors, it was great to see the fitness center had such a stunning view and was relatively well equipped. Alas, it closed at 9 and we didn’t make it back from dinner and hunting sunsets until 8:45 ish so no formal exercise to speak of. I was also tired from a 5A wake up to get to the airport. Wednesday: benefit of rooming with a three year old? You’re up early. I took advantage of that and headed out to explore some of Trapp Family Lodge’s trails. Although it was a blissful 68, it was nearly 100% humidity with the thick fog. Fox Track was single track, rocky and muddy so after that first mile I headed down to the wider and better graded Sugar Road for a safer run. It’s not that the fall made me afraid of trail running, I’m just not experienced in them at all. It’s not just that I’m new to trail running, hiking was never really a thing I did before so trails wholly unfamiliar. I still enjoyed the meander, even if I came in short of the distance I was supposed to run. I had a thought of going to the treadmill for some more mileage but a couple was running a half marathon on them, although they offered to stop if someone needed, and I decided I’d rather stretch and head to breakfast. After breakfast, we decided to check out the corn maze, something we’d never done before. I think I can honestly say we’d never do it again either. No shame, we ended up calling the stand and asking for directions out. It was surprisingly warm and sunny after the cool morning, and corn paths are just hot! Thursday: I wanted to run outside, but wasn’t sure the trails would be any less muddy after Wednesday evening’s rains. I was also eager to see more of the Rec trail after seeing a short piece of it when headed to the corn maze so I decided to run into town for breakfast. The road from the Trapp Family Lodge into downtown Stowe drops about 700 feet in altitude, although it’s curved so it doesn’t feel that steep. There’s no sidewalk and not much of a shoulder to speak of, so pace was definitely impacted by making sure cars saw me in the curves. I was pleased to see that Chase Park, about halfway into town, provided an entrance to the Rec Path so I could run without traffic. Although it was a beautiful if overcast morning, the rec trail wasn’t in heavy use. I slightly overshot breakfast so had to double back. Luckily the Vermont mountain dress code appears to be active wear, so no one batted an eye at my attire at the B&B where I enjoyed lox and scrambled eggs. Is there any better post-run meal? This run was really only doable for me since I had a lift back up to the lodge – there’s no way I could have done the round trip run. After a shower we went to meet everyone else for an exploration of Smugglers’ Notch State Park/Smugglers Cave. This is one of the ways running really changed me-I was excited for an active vacation and scrambling up damp rocks didn’t really faze me, other than a concern of falling. I bought these amazing shoes a few weeks ago and they were perfect for Vermont-more support than flip flops but not as hot as sneakers. This is definitely not something I’d have done before, or if I did so grudgingly, I wouldn’t have been looking forward to it. While skiing still has no appeal to me and there’s not enough money in the world to get me on a zipline, I really appreciated Stowe as an outdoor sports mecca and might have enjoyed more time there. I also love finding ways to explore my vacation destination via running. I’m glad to see that Darlene was a week ahead with that prompt, as it’s something I want to explore and might have time to write this week. Friday: one of those days where I wish I could run three days in a row because it was a crystal clear almost chilly mountain morning. 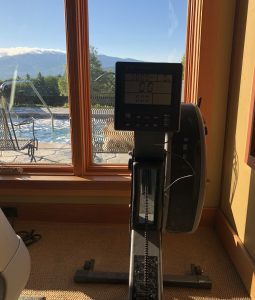 Instead I headed for the fitness center for a few minutes on the treadmill and a 3K row on their ancient machine. Oh how I appreciate the padding on the newer Ergs. 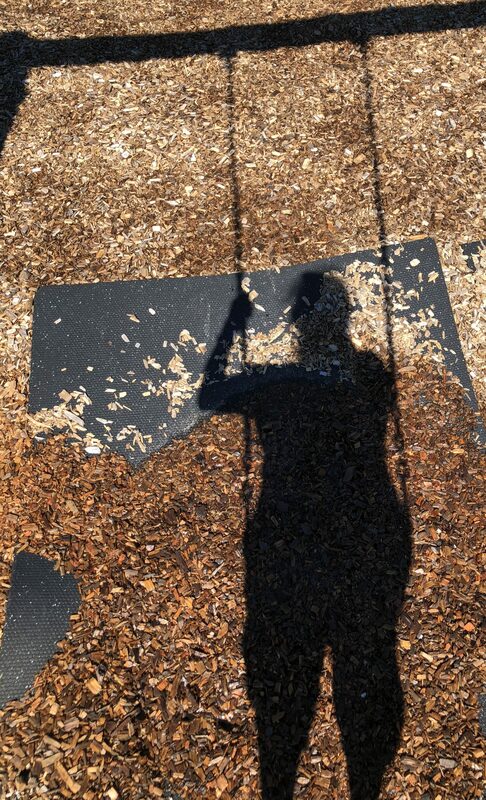 Before heading to the airport, got in some quality playground time with my nephew. 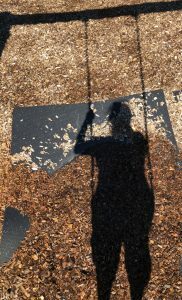 Contrary to what the three year old believes, you’re never too old for the swings. Coupled with some airport steps and the commute home from JFK, I hit my step goal just barely. Saturday: so glad I finally set up my tablet since we were under flash flood and severe weather alerts. Woke at 8a to one hell of a thunderstorm and promptly rolled back over. Had nothing on the calendar beyond housekeeping and catching up on email, so no need to get out early. 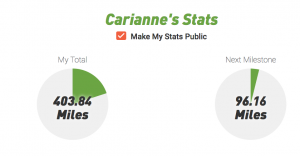 I wasn’t sure about 6.5 or 8 to catch up on this week’s missed mileage plus increase on last week’s race/long run. The answer? 6.04 ugly miles. I finally got moving around 4 and by the time I got to the gym, it was 5:15 and I forgot they close at 7 on Saturdays. Oops. The run ended up split in two parts because I was more thirsty than normal and had to refill my water bottle, during which the paused treadmill re-set. Part 1 was much stronger, although I was struggling to maintain a typical pace. Part 2 went off the rails and I made myself do speed intervals to counter the walk breaks I was taking. It was all mental, it wasn’t a physical struggle. I know these days happen, I just pushed through as best I could. Episodes of HAPPY and SVU helped to distract me slightly. For some reason, the audio from the tablet via my Aftershokz wasn’t as good as run watch to Aftershokz and I was forced to use my old bluetooth headphones and was quickly reminded of why I switched. Sweaty, gross and did not stay put. Clearly, need to find a better solution, although I hope not to have to do too many long runs indoors. The reason I didn’t get 6.5 is I wanted a good stretch/foam roll before the gym closed as I’d been feeling the effects of not stretching after Thursday’s run. I won’t lie – I also bribed myself with food. For $ reasons, I’ve been trying to cut back on weekend sushi and limit it to race days. But I said if I got six, I’d let myself have sushi tonight. Helped that I really didn’t have any other options in the house and I knew I still wanted the protein. Food reward is not ideal, but I don’t think sushi is the worst of choices. It was truly what I craved, and I let myself have it. My love of sushi is one of many reasons I could never manage a pregnancy. Overall, happy with the active choices I made on vacation. I didn’t let vacation get in the way of exercise and added a new state. Eating could have been way better, but I don’t regret a single bite. Actually, I lie. I regret Friday’s carb bomb and I think that’s probably part of why I struggled Saturday. By the time I got to the airport for my flight, I was craving protein. Alas BTV offerings were slim as were JetBlue’s in flight for a super short flight. I did not help matters by getting Subway for dinner. But overall, choices were good as seafood options abounded. Dinner entrees were cod, ahi tuna and salmon. Desserts were small and I was active. I was catching up on my Runner’s World newsletters this weekend after catching up on past issues on the flight and this came up. It’s true for me. Running is allowing me to maintain, but this ~six month plateau is less plateau and more poor eating choices. Going to fix this in the coming months. While Stowe wasn’t previously on my radar, I loved it. Easy place for an active or do-nothing vacation, fun downtown shops and one bookstore! I’ve actually never seen Sound of Music, so some of the von Trapp family history was new to me. If the trails had been less muddy I might have gone up to the chapel. I’d definitely love to return in fall, which I imagine is closer to peak. What surprised me vs. other places we’ve vacationed in summer is it wasn’t crazy. At most we waited 5M for a table at dinner and it appeared all of the hotels had vacancy. It didn’t seem to be suffering a downturn, but rather summer is their slower season. You couldn’t pay me enough to drive up to The Notch in winter conditions, though I’d happily enjoy the snowy scenes from the hot tub. It’s not particularly accessible if you don’t drive, but you can probably get an uber from Burlington if no one can pick you up. When we were first married we lived outside of Burlington — let me just say right now I HATED living in VT, but it is a great place to visit We often went up to Stowe on a weekend, or for our anniversary — even once in the middle of winter for my birthday! And we don’t ski! 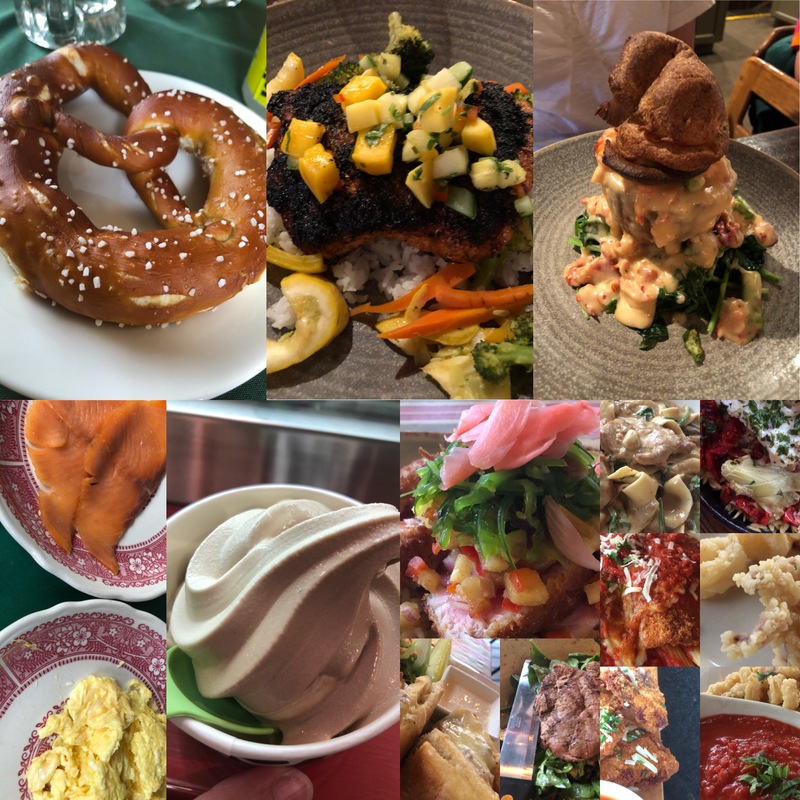 I wasn’t even on vacation and I can’t say my eating was the best, and get out a post without “humid” right now? Highly unlikely! I can see how you’d go often being so close. My brother & family had the easiest travel time of all of us, although I really can’t complain about a 45m flight. I didn’t love Burlington and Middlebury, but I quite enjoyed Stowe. More to do as I’m not a shopper, which Burlington is great for. Brave on a winter trip. Other than 89/91 I think I’d be a white knuckle driver. A hot tub in the snow would make it worth it though. There really isn’t a whole lot in Middlebury. Church Street used to be really nice, but I haven’t been back since we moved away. Stowe was an easy day trip for us when we lived in VT, and we didn’t have dogs then (or a lawn!) so we actually did a lot more. In VT, if you don’t drive when it snows, you don’t go anywhere! That’s like my four years in western New York, I drove only when I absolutely had to. I went to college in Rochester, but I didn’t have a car so didn’t drive out there. I took the train home. And sometimes got rides with total strangers! I only lived off campus at the end of my senior year, and then I was dating Mr. Judy, who had a car, and also there was a bus to the grocery store. Ha, I love the challenge to not mention humid. Or not mention the weather at all? Runners are obsessed with the weather. I realized when I broke my leg how little I paid attention to the weather because it was just not a big deal when I wasn’t working out in it! Yes, I learned my lesson about corn generating heat. While the running related weight loss has made summer temps more manageable for errands, I was never active in this weather before. Oh the trade offs! 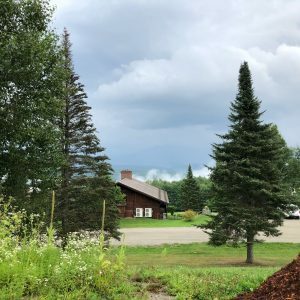 I failed your challenge–I commented on the humidity on this morning’s long run! Oops! Your trip sounds amazing! Looks beautiful there. I can’t believe you’ve never seen The Sound of Music! It’s one of my all time favorite movies. If we’d had a rainy afternoon I certainly would have – they showed it two/three times on property. Proud heritage. I did see Maria’s stone though. I really like that hashtag! Awesome job on your mileage for the year so far! I think I’ve complained about the humidity every day this week – oops, lol. I failed the challenge too…humidity was all over my workout wrap up. 🙂 I love Vermont and I love Stowe! The mountains are gorgeous and the trails are top notch…mud and all! I ran on the rec path a couple of years ago and I stumbled upon an art exhibit of gigantic green ears. Was that still there? I think we all failed it. It has been that kind of summer! I had a conversation with a friend about how we managed before smart phones, she has a recollection of the checkin including a map. This one was too freshly cut to have that but they did have a sign in/out sheet and told us they go looking after 45m. We blamed the “phone a friend” on a cranky three year old, but really we were all ready. I think the best vacation memories come from these crazy stories, right? I never realised a corn maze was that tall somehow. That would be super-claustrophobic, argh! I am with you on the trails. I’ve never been a hiker and when I have been on the coast path etc with sturdy walking boots I’ve still been scared, turned back on downhills etc. It does get easier with practice but if I ever see the words “technical downhills” I know I’m not doing that! I messaged you a photo for context of how tall the corn is. It’s deceiving even from the adjacent car park. Your trip sounds wonderful. Minus the muddy trails. Hate when I slip on them. 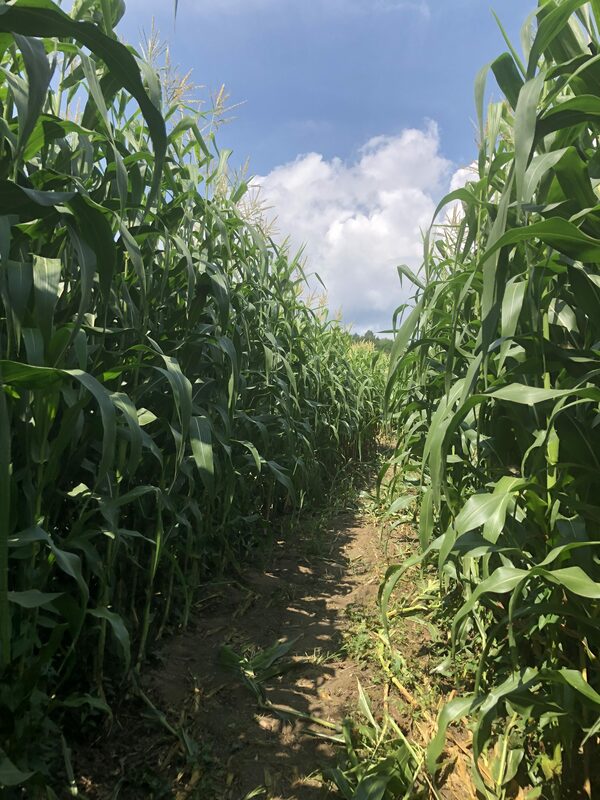 We have a corn maze race here…just saying…it’s a special kind of hell. haha! What a nice vacation spot. I bet it felt good to sway from work and city life. 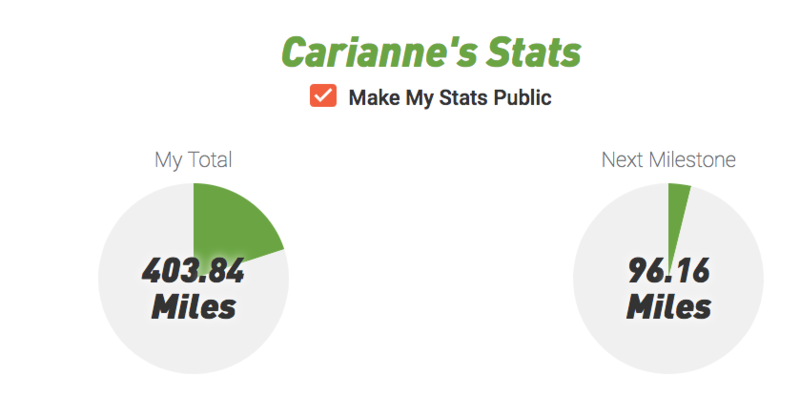 I’m way behind on my 1000 Mile yearly goal. But it’s ok. I bribe myself with ice cream. You’re better than me. Can’t wait to run with you. No rain please. Touch wood, Wednesday looks dry. So excited. Maybe we can find ice cream after. It was truly nice to be away from the city. Refreshing. My favorite is a milk bar. Do you ever go to those? Yeah I couldn’t either. It’s an impossibility for east coast summer. There is no way I could issue a challenge of not using the word humidity. I wouldn’t be able to write my own post! LOL. 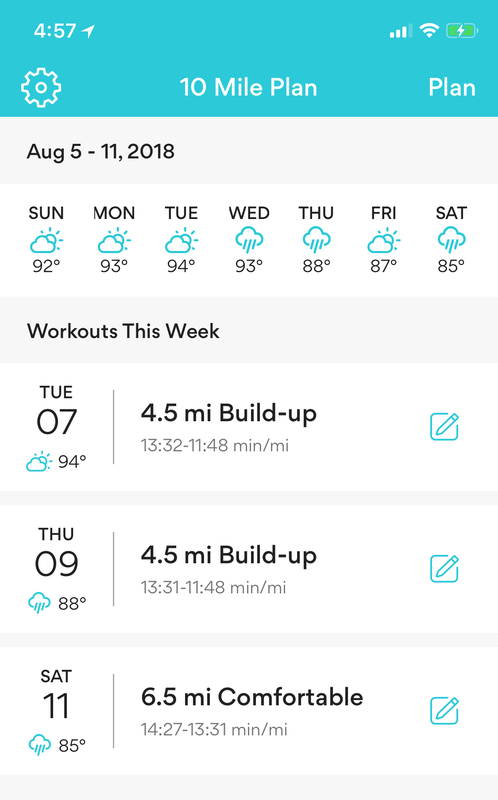 Great job keeping up with your workouts while on vacation. Vermont sounds lovely and it is a state I’ve never visited. I’ve seen the Sound of Music (many times) but didn’t know the family had a connection with Stowe. Thanks for linking! If you want an escape from your humidity, I highly recommend it. It’s why mom & I started doing New England summers a few years ago. So much better even a couple hundred miles north, not to mention the difference you’d experience. It gets warmer than it used to, but is still a relief. 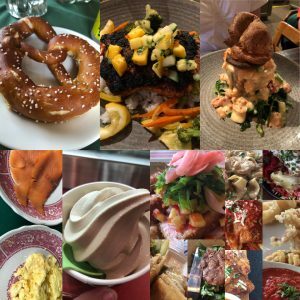 This whole region has a very Austrian flavor: a deli was called Edelweiss and the Innsbruck Inn is a *bit* over the top https://t-ec.bstatic.com/images/hotel/max1280x900/196/19662299.jpg. Trapps is much more tastefull.